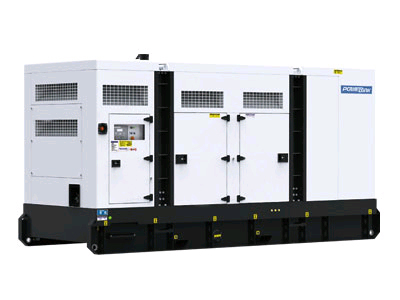 The Powerlink GMS450CS, 450 kVA Diesel Generator, powered by Cummins, is reliable, easy to operate & maintain, environmentally friendly, safe, simple and is a practical design. Features include durable and robust construction, soundproof canopy, security and safety, transportability and excellent service and maintenance access. Generally used for power in factories, office buildings, telecommunications industry, hospitals, airports and the rental market. 413 kVA Diesel Generator, powered by Cummins, three phase and enclosed. 450 kVA Diesel Generator, powered by Cummins, three phase and open. 550 kVA Diesel Generator, powered by Cummins, three phase and enclosed.